Sightseeing is an important factor for a successful soccer tour or training camp. It gives your players a great insight into the German and Bavarian culture and history and helps them to understand and get to know the people and their traditions. There is just so much to see and to learn. You can choose how many days of sightseeing you want to have included in your itinerary. We will work out the most interesting program for you and arrange everything. Your training camp will be located in one of the most beautiful landscapes and one of the most historical regions of Europe. Among the greatest heritages are the many castles built by the old kings and princes. 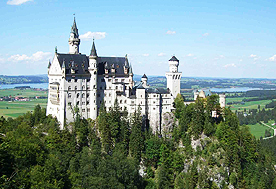 The most important and popular one is the fairy castle called Neuschwanstein on top of a mountain that once served Walt Disney as model for his Disney movies. But also other castles are astonishingly beautiful, like castle Linderhof, Herrenchiemsee or the Munich castles Nymphenburg and Schleissheim. 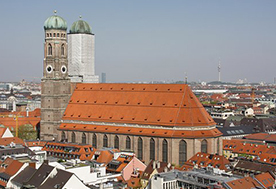 Explore the global city of Munich with its great history and architecture. Take a look at the famous town hall at the Marienplatz, the biggest inner city park of the world - the English Garden, the BMW World and Museum, the famous old town gates, the many churches, the old Olympic Athletic Center and Stadium of 1972, the beautiful beer gardens under chestnut trees and the most famous beerhouse in the world - the Hofbräuhaus. Or just walk along Munich's very popular shopping area and bring home your favorite souvenirs. Other Bavarian cities like Nuremberg and Ingolstadt with their old fortresses surrounding the old town or the nearly 2000-year-old roman city foundings Regensburg or Augsburg are also close by and are very worthwhile to take a look at. Also, the Austrian border is so close that a trip to Austria is easily manageable on a single day. 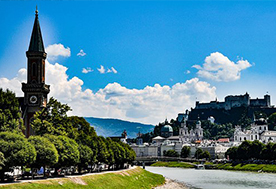 Explore Salzburg, birth city of the famous classical composer Wolfgang Amadeus Mozart and one of the most beautiful places to be in Austria. Also, the cities Innsbruck and Kufstein are close by and certainly worthwhile to go to. If possible we will combine a trip to Austria with a test match against one of Austria's highly competitive club teams. 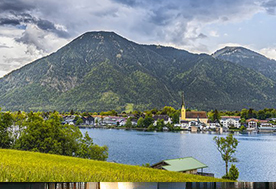 Nowhere in Germany are more beautiful lakes in such short range from one another than in the Bavarian area where you are staying. Go to traditional feasts at lake Schliersee, summer tobogganing at lake Tegernsee, take a boat tour on lake Chiemsee, also named the Bavarian sea, with its island castle Herrenchiemsee or go hiking to the fabulously colored lake Königssee (meaning king's lake) surrounded from all sides by most impressive mountain ridges. If you are interested in the sad history of Germany with the Second World War and Adolf Hitler you have good possibilities to take a look at interesting places. You can go to the former summer residency of Adolf Hitler, called Eagle's Nest, on top of a mountain. The place also provides a fabulous view over the surrounding mountains. Also, there is the Dachau Concentration Camp Memorial Site that offers an insight into the horrors of the past caused by the German Nazis. We can arrange a visit to that place. 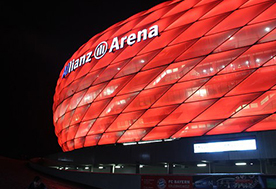 Take a tour in Munich's Allianz Arena, FIFA World Cup stadium of 2006 and one of the most modern and fascinating soccer arenas in the world. FC Bayern Munich and TSV 1860 Munich are playing their home games&xnbsp; in the Allianz Arena. If the time of your stay is advantageous so that there is a professional game scheduled we will arrange for you a visit of that professional game. Besides the Allianz Arena there are many other arenas close by that also host professional club teams, like in Nuremberg, Augsburg or Ingolstadt. Watching professional games in those arenas is also possible.